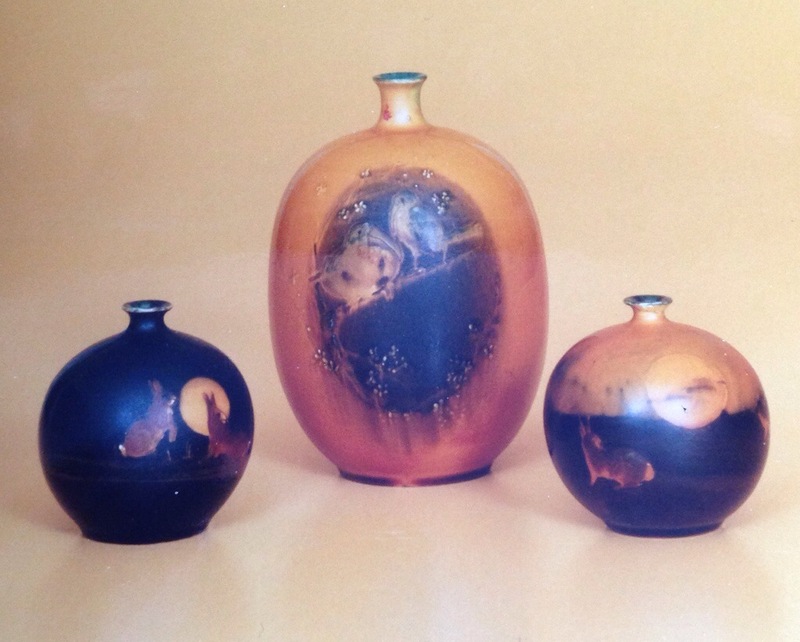 Around the turn of the 20th Century there were many exciting introductions at Doulton’s Burslem studios, many the brainchildren of the famous Charles Noke. 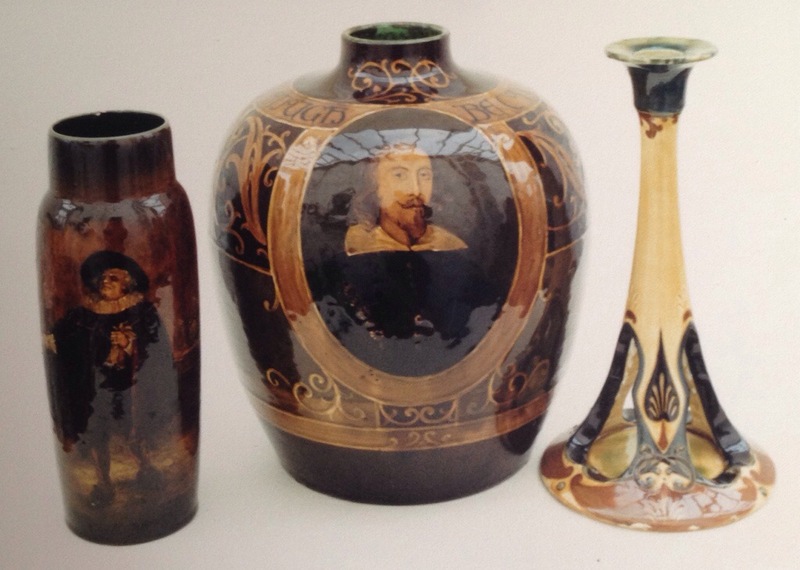 Holbein ware is a typical example of Noke’s experimentation with glazes. Holbein wares give the impression of old masters through the use of yellow, green and brown slip on a cream earthenware body. 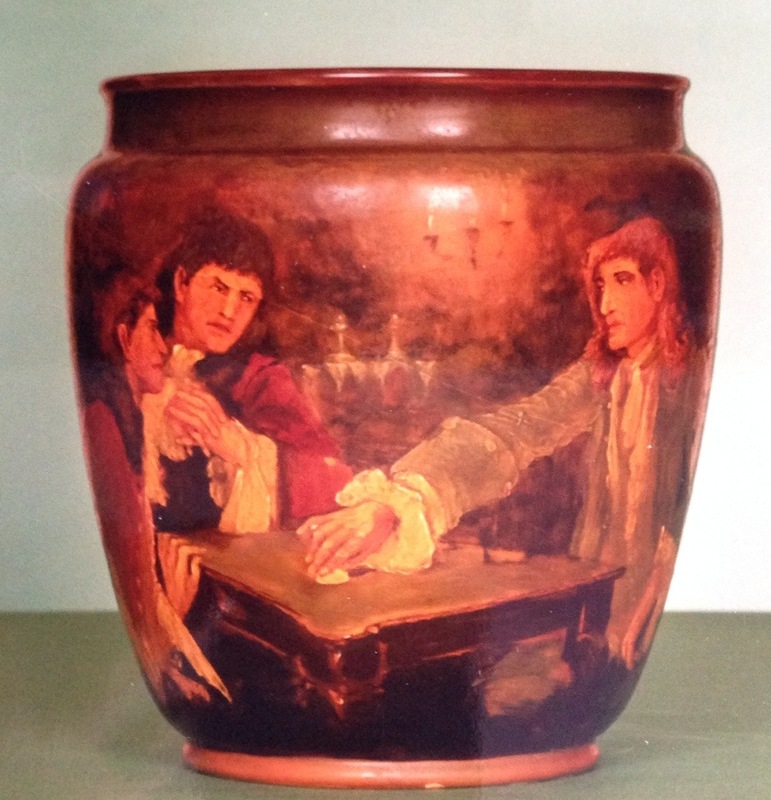 Portraits on these vases were typically by Harry Tittensor and Walter Nunn among others. Incidentally this name of ware was also given to a series of items including candlesticks and oil lamp bases modelled in an art nouveau style but not bearing any portrait! Further Holbein pieces not featuring portraits but rather nocturnal animals including owls also appear. 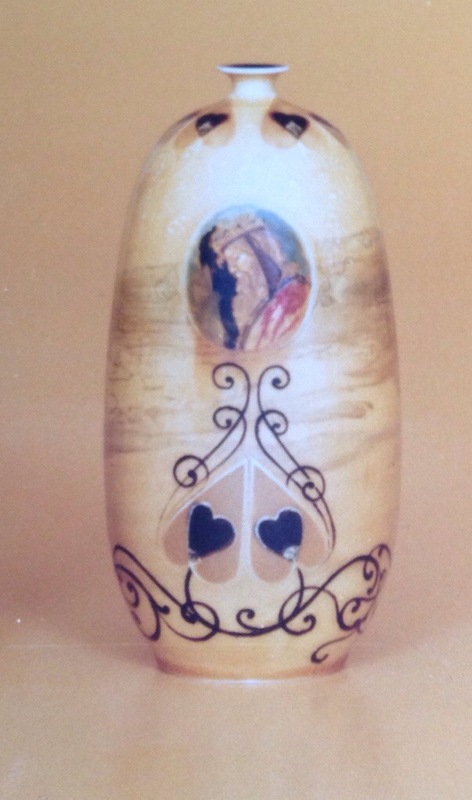 This ware had a special backstamp but it was not always used, creating certain confusion about this particular ware. This ware should not be confused with Rembrandt ware.